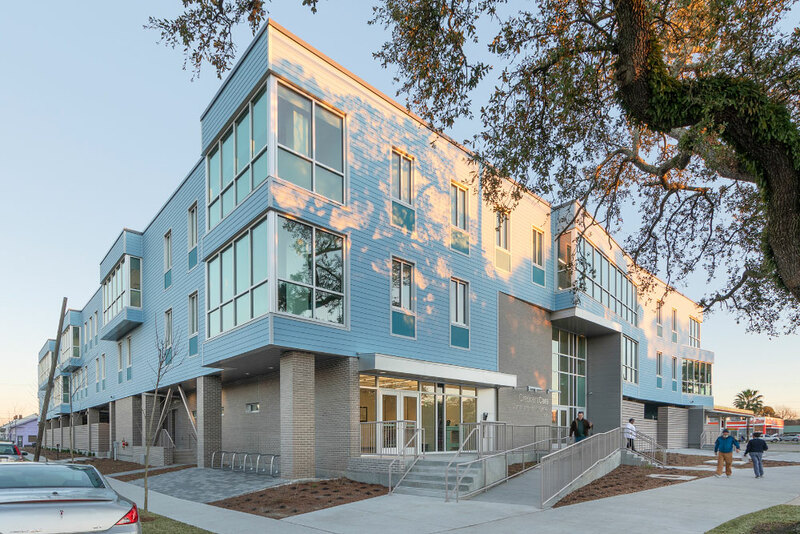 New Orleans, LA – April 1, 2019 – Gould Evans, a local design and planning firm, is pleased to announce that the CrescentCare Community Health Center and Dear Rampart have both received 2019 ‘Honorable Mention’ Design Awards from the New Orleans chapter of the American Institute of Architects (AIA). 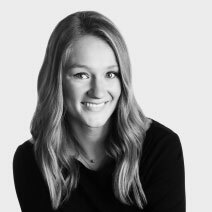 The award program’s overall mission is to increase awareness of outstanding architecture and to honor the architects, clients, contractors, and consultants who work together to improve the built environment. The CrescentCare Community Health Center is a premier health and wellness facility offering a full spectrum of accessible care, with particular focus on marginalized and at-risk populations of New Orleans. Reinforcing the CrescentCare’s mission of “equitable healthcare for all”, this new facility was designed to bring the client’s entire offering of wellness care under one roof to create a “medical home” for all. The multi-level building supports a unique story within, where a clinic and a community center combine to offer resources not only for treatment, but also health education, preventative services and empowerment methods. Gould Evans believes that design enriches life and elevates the human spirit. We continue to rigorously reimagine our practice focusing our work on people and place, innovations and outcomes. We intend to exceed client expectations, integrate symbiotically with the earth and the environment, and expand our perspectives for an inclusivity that promises surprising discovery and diversity. To learn more, visit www.gouldevans.com.